Hello Guys, Glo Cheat 2018 is blazing unstoppably right now via an app called "Sky VPN". 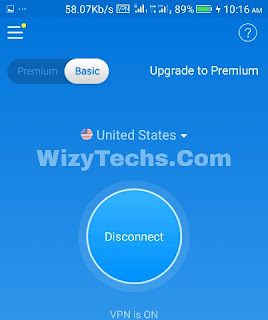 With this app, there is nothing like disconnections again and the most interesting part is that you can get free data of up to 1GB everyday when you use Sky VPN app or invite your friends to download it via referral link. Interesting right? This is actually a good news for those of us who has had bad or unlucky experience trying to enjoy Glo Free Browsing Cheat this year 2018. 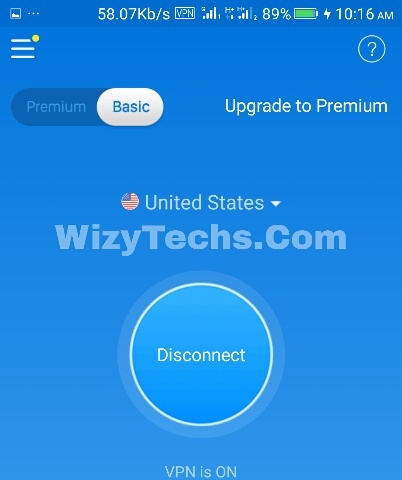 Sky VPN is safe and presents you with options and ability to appear anonymous, hide your IP, unlock web pages, give you ultimate security and helps you unblock sites and apps. 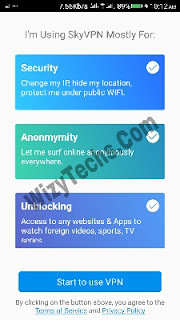 This is the best app for Glo free browsing cheat right now because so many people complained that AnonyTun Settings, Stark VPN settings and even UC handler settings never worked for them. ✔️ The app contains ads. 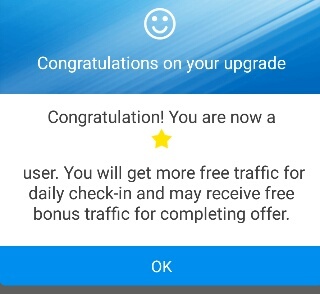 NOTE: Don't worry much about the premium access, I'm working on ways to bypass that limit and unlock the door for unlimited free browsing Glo Cheat and downloads. ✔️ Install the app and open it. ✔️ Tap on the menu icon at the top left corner. ✔️ Then tap on Premium Traffic and tap the Daily Check-in to get free 75MB data. To get more free data, just tap "I'm Feeling Lucky" to get free 25MB data. Remember that you can continue doing this on daily basis to get free data. But you must have your internet enabled to complete these initial tasks if not, it may not connect. After getting your free mb, you may now use your sim with 0.0kb balance. ✔️ Next, return to the app homepage, and tap on Premium button, a pop up message will ask if you want to upgrade, click on "Upgrade" and choose **United States** as your region. This is because we need access to many websites at great speed in the same time. You should see that the Premium text will turn yellow in color if you follow the guidelines on wizytechs.com properly. ✔️ Finally, tap on CONNECT to start enjoying Glo Cheat on your Android and PC using SkyVPN. There won't be Disconnection but if you are using a phone running Android 7.0, 8.0 or above, it may occasionally disconnect but when it does so, just reconnect and flex your glo free browsing cheat. I have been rocking the uc mini free download for a week now. I upgraded my play service yesterday,gbwhatsapp and many more but the proxy setup is not redirect.glo.com. autonym or whatever connects and it doesn't disconnect but it is not powering apps as it supposed to..
My glo Internet network is not coming on since yesterday... But if I change my APN to blackberry.net it will come up but won't browse... Pls an solution on that @wizzy? Sky VPN simple to use. It is very nice app.Free 1 GB data offer also good. Please some one help me with glo uc mini setting . thanks Mr wizzy.